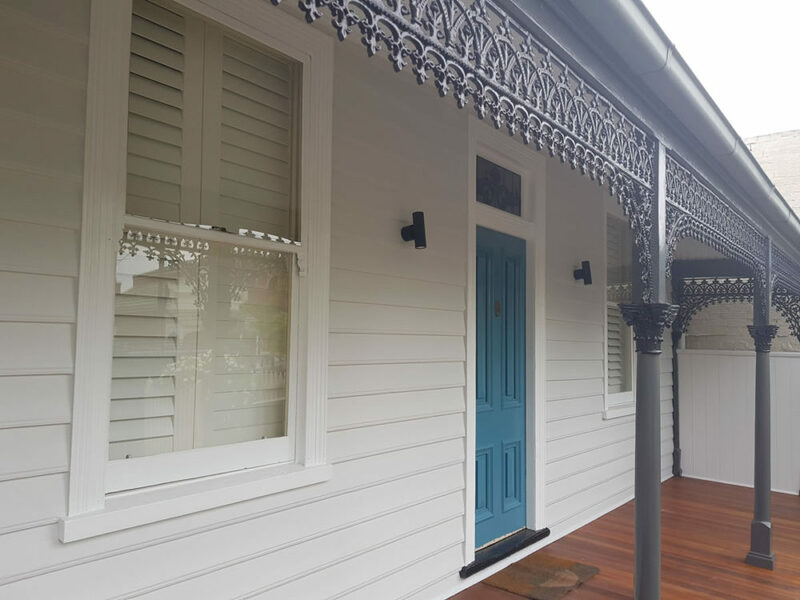 We’re your Tradional Victorian House Painters, with a wealth of painting experience and knowledge. 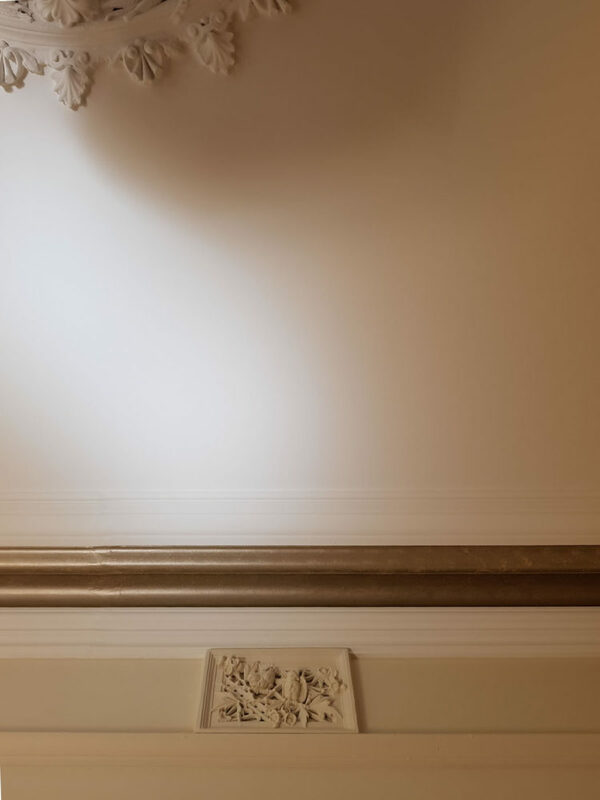 We love painting your cornices, tin ceilings, archways, and gigantic skirting boards. 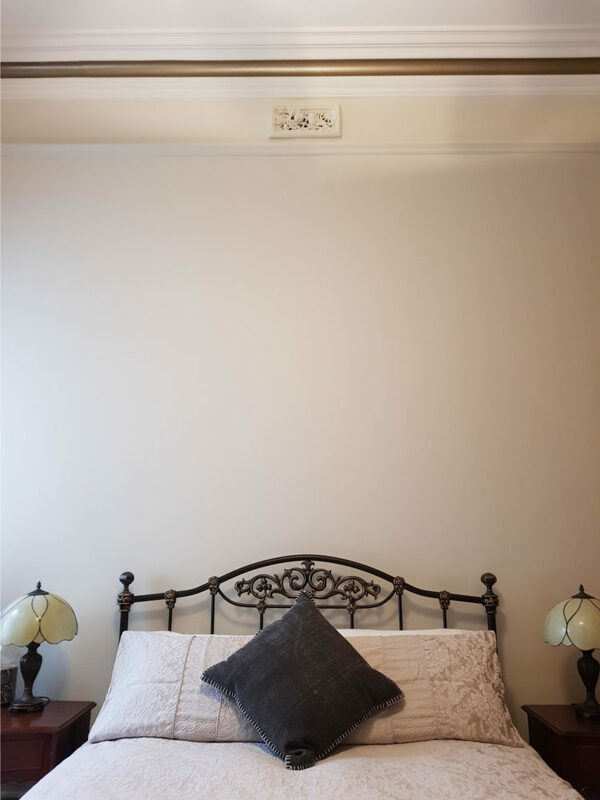 Not to mention your sash windows, of every shape and size, ceiling roses in tradional colours, with individually painted roses, is second nature to us. You name it, we’ve painted it. Sometimes in ten different colours. Sometimes in just one colour. House Painting Kensington is what we are all about. Why ? Because we are local. 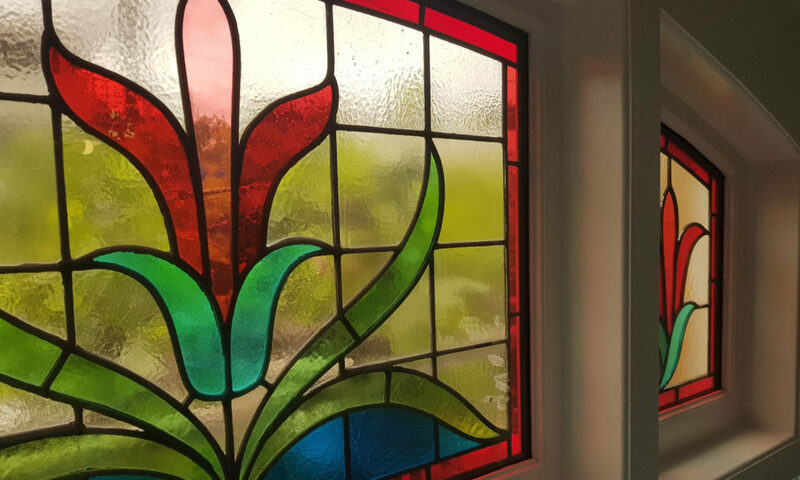 It’s great to live in a suburb with such interesting houses, because it makes painting house interiors very rewarding for us. We tend to paint a lot more of these traditional homes than the new builds as a result. I’ve always loved painting details. Whether it’s picking out the details of the cornice, or painting the flowers on ceiling roses. Or in this case, the barrel is rag rolled in Metalic Dusty Gold. 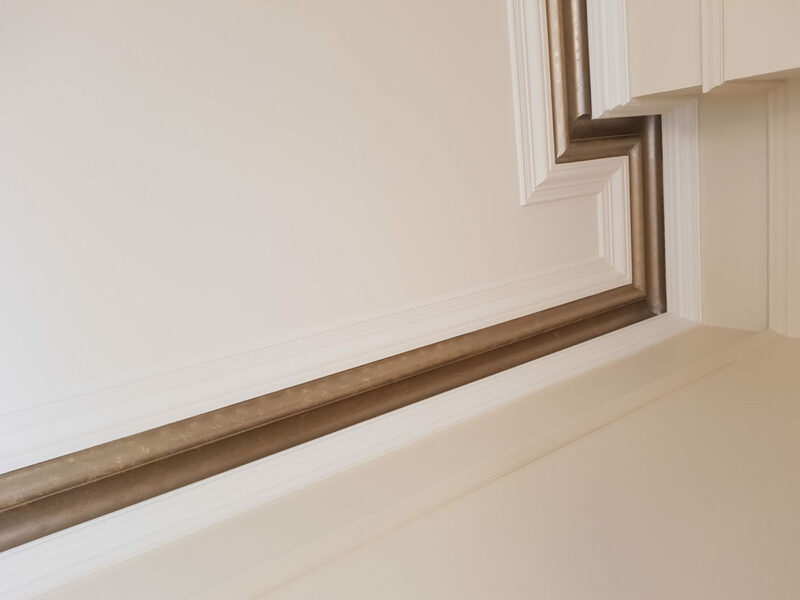 Even when we use just one colour over the details, different sheen levels can make these features stand out. It’s amazing what we can acheive with paint. Interior House Painters Kensington – Traditional or Modern House Painting? 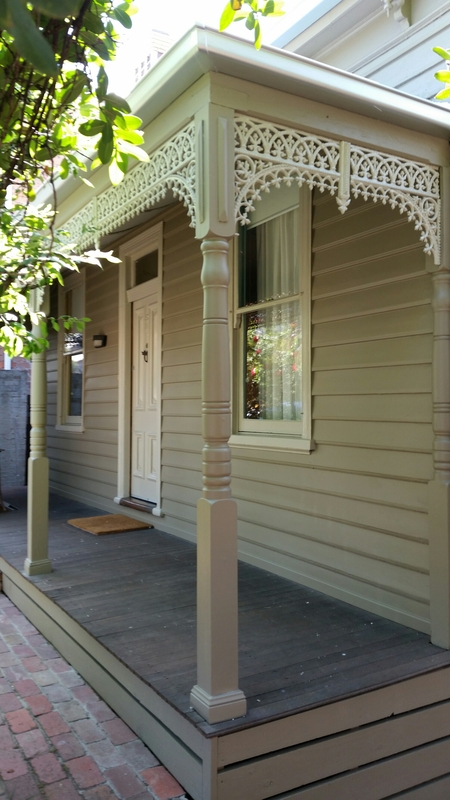 As interior house painters Kensington, we get to paint a lot of traditional Victorian houses. 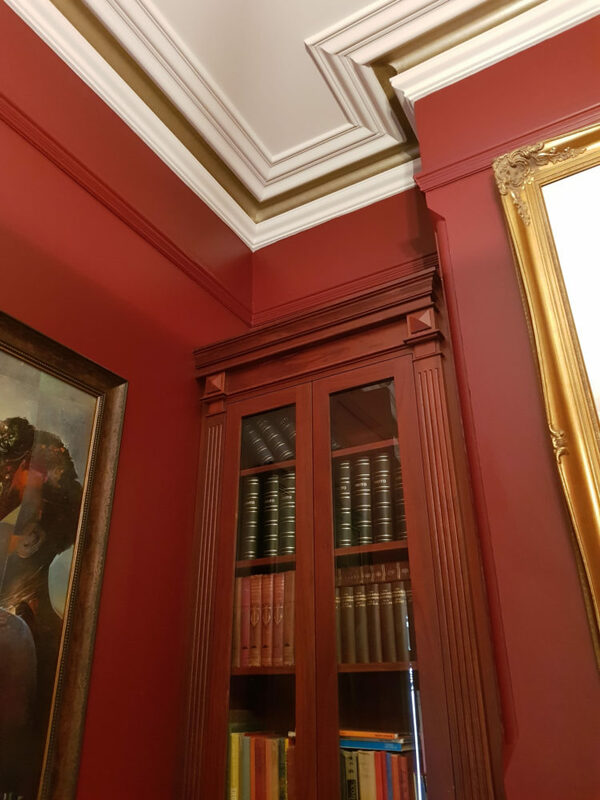 Sometimes they’re classic and traditional in the interior finishings. Other times they are a modern version upon the theme. 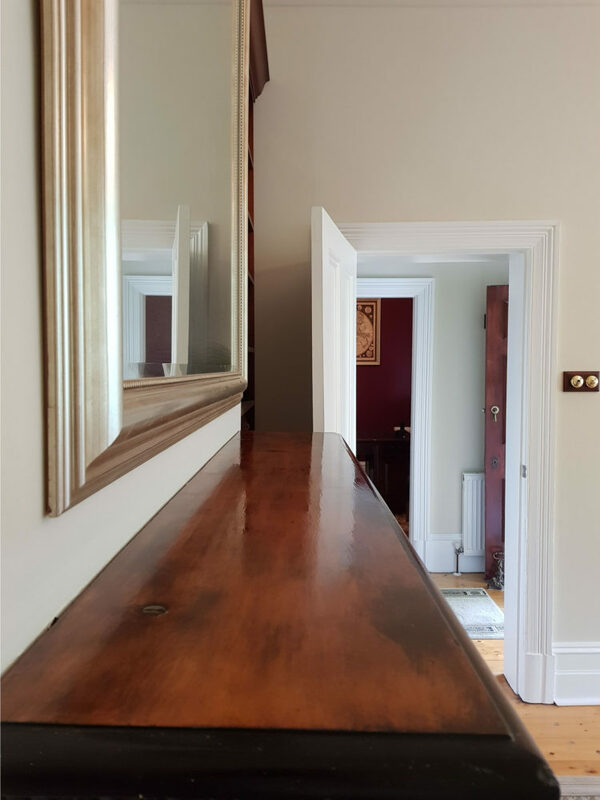 And the new refurbishments; with a new set of ideas, because of the transformation of an existing building, we will help develop your brand new interior concept home. Whichever interior idea you choose, we’ll enjoy painting it, why? Because we like running with your ideas. We have an Interior Decorator who can help you find the ideal idea, because they can accomplish traditional, modern or concept. The painting of ceiling roses, cornices, archways, picture and daido rails isn’t as obvious as it may seem. These items can define the style of your home, because these are the period pieces. Whether we’re painting to highlight the traditional features, or we’re painting them to hide them. We’ll enjoy making your ideas come to life. Or if you’re using an Interior Decorator, their ideas! In conclusion, a traditional house give you lots of scope. Because it has ‘good bones’, it will give you a great canvas to work on. 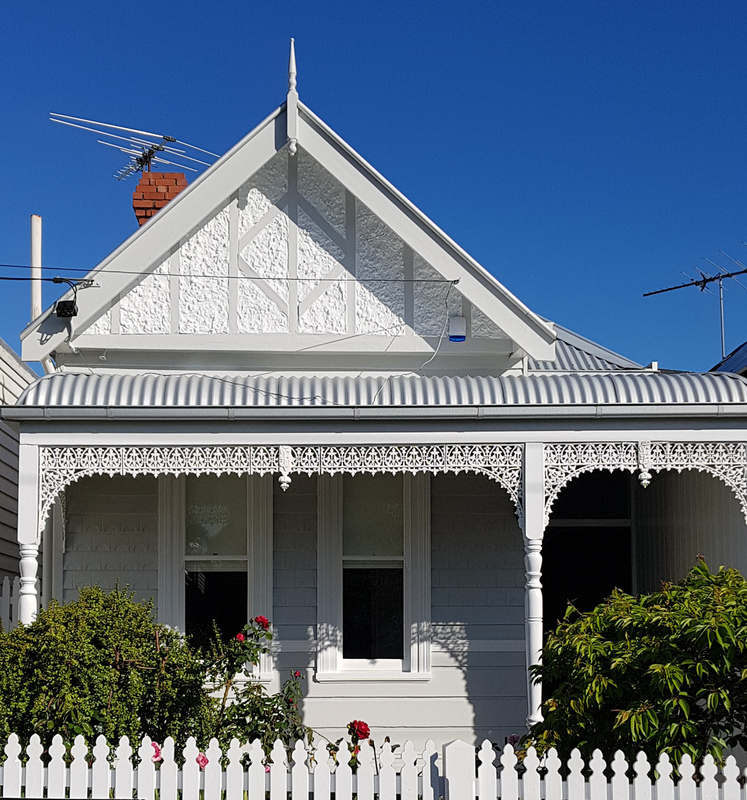 Why would we tell you how to paint your weatherboard house? Surely I’m just about to give the game away! Tell you all the secrets. Make myself redundant. It’s relatively easy to do, all you need to do is prepare and paint afterall! I’m just about to list every step for you, so it’s even easier now. All you’re lacking now is number one, experience, fine you’re going to take longer but that’s okay, and number two, time. Time. It’s the crucial thing. Time. 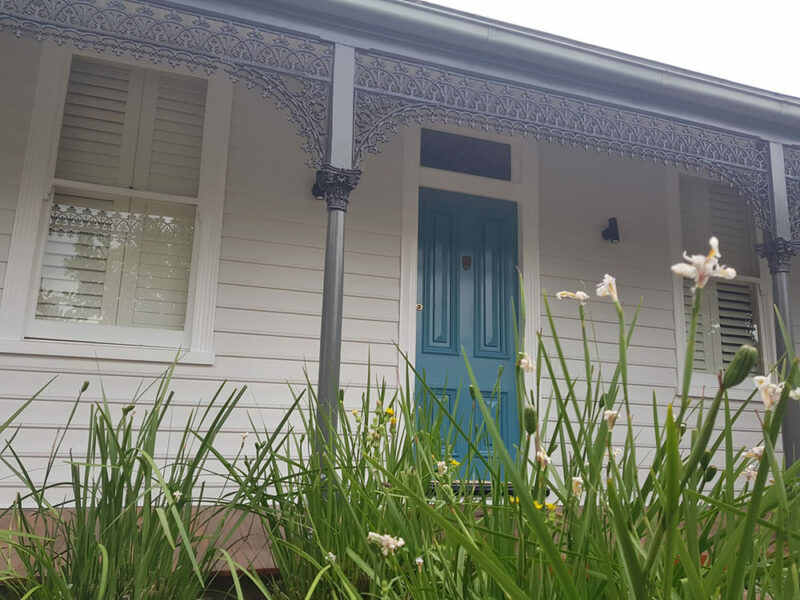 Painting a weatherboard house takes time, a lot of time, far more time than you think. An average single fronted would take 160 hours of prepartion and painting for an experienced exterior painter. If you’re great at DIY, then just add 50% more time to that. So knowing that it’s going to take you at least 240 hours, 15 weekends to paint your house, I’m safe to let slide a few secrets. Yes, I’m having a latte and avocado smash whilst you’re painting this weekend…. ….and the next! Before you start to paint the exterior of your house, there are a few other things to check. Do you need to repair anything first? Rotten weatherboards, windows, doors? Are other things causing problems, guttering that’s leaking? Rusted metal gates/window parts/nail heads, sand first and then paint with metal primers. Bleeding knots in the weatherboards, should be primed first. Nails that need to be reset. Use a nail punch, sand prime and fill over. If it’s flaking – get rid of it! Scrape off flaking paint. Sand all the surfaces to a flat finish, that’s all the weatherboards! Sanding is very important not just in getting to a better surface but to promote better adhesion between the layers. Your paint job will last much longer if you sand everything. Most weatherboards now come preprimed. This is a transit primer designed to keep the boards in good condition in storage and transit and should not be confused with normal primer. All weatherboards must be primed prior to painting. Don’t paint around door numbers, light fixtures (be sure to turn the power supply off), screens, door handles – remove them! It’s easier, will save you time and looks much better. Fill holes with an exterior filler, two pack filler for high traffic areas. Gap under weatherboards, this stops rain and moisture going up the back of the weatherboard. There are gap sealents designed for weatherboards, these have a much bigger stretch, so when your weatherboards move with the weather the gap won’t split. The easiest way to paint weatherboards is by brush. A good 88mm or 100mm brush is ideal. Try to follow the sun around the house, as this dries any dew and means you won’t be working in the sun. Start by painting the boards in a horizontal section, then more the ladder to the adjoining section untill you have painting the entire length of the wall. Lower the ladder and repeat the process until the wall is complete. Remember to keep a wet edge. Remember ladder proceedures. Always make sure your ladder is set up properly, extention hooks are securely in place, make sure of it’s footing, it should never lean to one side. It’s not too upright. You should never reach too far when painting, you should always have three points of contact to the ladder (use a s hook to attach paint can to the ladder), your free hand is for painting, look out for power lines, never step on the top three runs of a ladder. Check these everytime you move the ladder. Paint windows, sashes, sills in the same order as the interior ones, working out from the sashes to the frames. Window sills bear the brunt of the weather and accumulated dirt. Give them an extra two or even three coats of paint, remember the underside. Painting an exterior door, in the same order as interior doors, the panels first, then the middle vertical bar, the stiles, and finally the edges, working from top to bottom. Always try to paint the top and bottom edge of the door, this will keep out moisture and stop rotting. Railings and metal fence, use a lamb’s wool mitten applicator instead. The mitten applicator, allows you to grasp the railing, smearing on the paint as you move your hand up and down. Touch up with a brush. This may take three coats. Wooden picket fences, use a small roller (100mm) with a long handle, touch up with a brush, again this may take three coats. Good Luck with painting your weatherboard house!